While 2016 was a big year for international travel, 2017 represented a year spent enjoying destinations and activities closer to home. 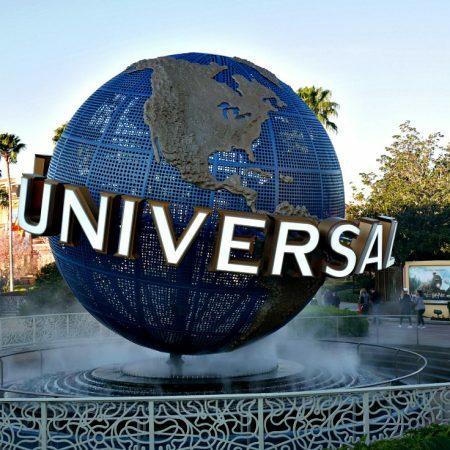 Part of the was because my role as an ambassador for Universal Orlando Resorts gave me lots of opportunities to enjoy the theme parks and resorts in Orlando, and partially in preparation for Tony’s retirement and joining me in blogging and business activities. Another theme this past year has been reorganization. From developing new projects (a new restaurant review site called The Yums that publicly launched in April) to working through a new site design (look for that to launch shortly after the first of the year), to creating some new internal systems to creating some new features that will debut in January 2018, it’s been a good time to take stock of where I am and where I want to go. There are still some things to be done – I’m not done yet – and I’m excited as my blogging business moves into a more mature phase of development and growth. And yes, still, there’s travel. Here’s a month-by-month look at my travels, both around town and around the world. As we do most years, we rang in the New Year in Seattle, with a nice dinner, a nice hotel room, and the traditional fireworks off the Space Needle. 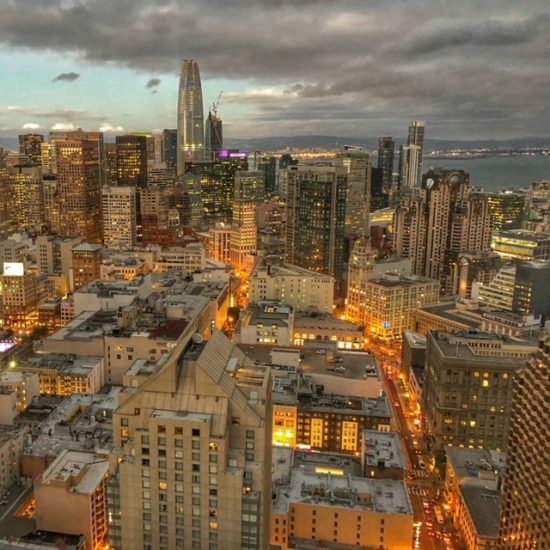 We love playing tourist in our hometown and New Year’s is a great excuse to get a room and enjoy the city. We celebrated Mardi Gras at Universal Orlando Resort in a very family-friendly fashion. 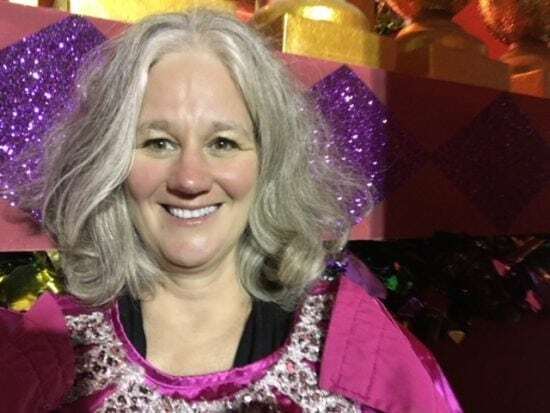 In fact, we even got to ride on a parade float and throw out beads. While it was something that I was excited about doing, I had no idea that it would be so much fun. We had a great time, all dressed up in our costumes and tossing out beads, and it’s an experience I highly recommend if your visiting during this time of year. We stayed at the Hard Rock Hotel this trip (read my review here) and love that it’s close enough to walk to and from CityWalk and the theme parks. The weather was nice, much warmer than in Seattle, so a highlight of the visit was all the water rides. Jurassic Park and Dudley Do-Rights Rip Saw Falls are two of my very favorites. We were soaked after riding them, multiple times, and were laughing so hard that our sides ached. 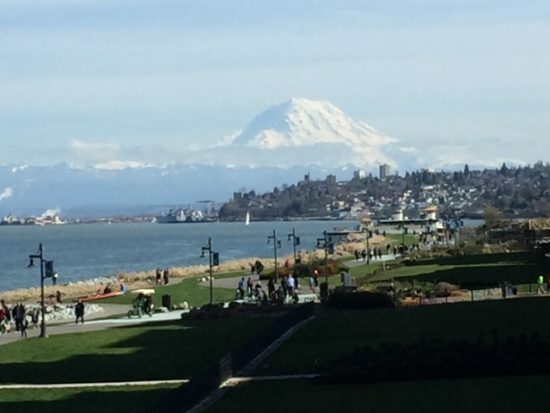 We lived in Ruston (a small town located within the city limits of Tacoma) for over 20 years, and although it’s only a few minutes away from where we live now, it’s been awhile since I headed down that way. The development along the waterfront has been amazing (still trying to decide if that’s good or bad), and Ruston Landing is now a hot spot for restaurants, cafes, and entertainment in addition to living space. We’ve enjoyed discovering some new spots to hang out, including a champagne bar. And on a clear (and cold) spring day, the view of Mt. Rainier is spectacular. 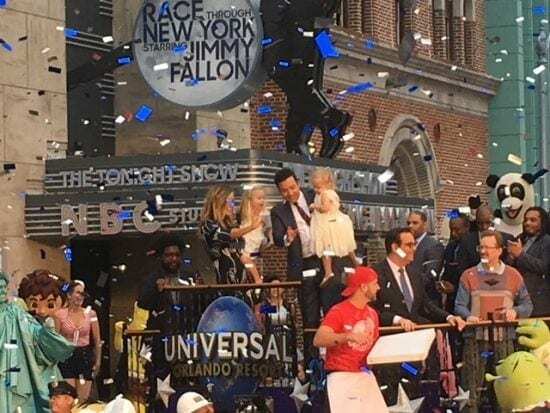 This month it was back to Univeral Orlando Resort for the opening of the new Race Through New York with Jimmy Fallon attraction. It’s a great attraction including a little trip down memory lane with the history of the Tonight Show, from Steve Allen to Jimmy Fallon. While I most associate the Tonight Show with Johnny Carson, it’s was clear that many visitors related to Jimmy, Hashtag the Panda, and the Roots. 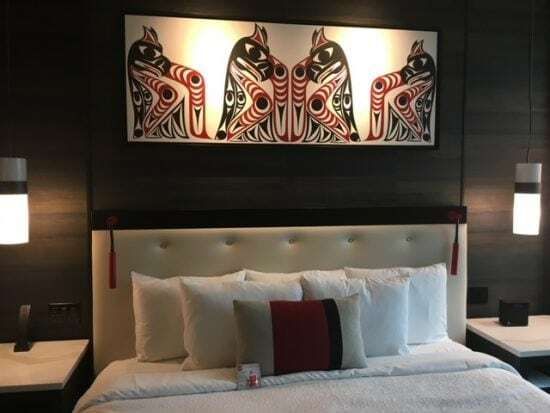 Another getaway closer to home was revisiting the Tulalip Resort & Casino. 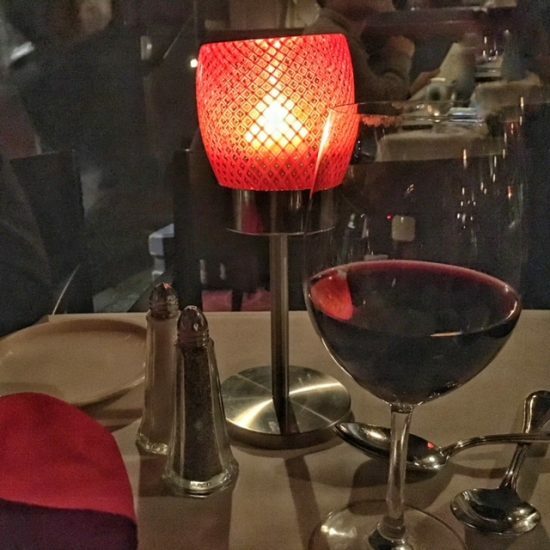 We got a chance to check out a few restaurants, see their new rooms (read my review here), and enjoy the entertainment of Howie Mandel. 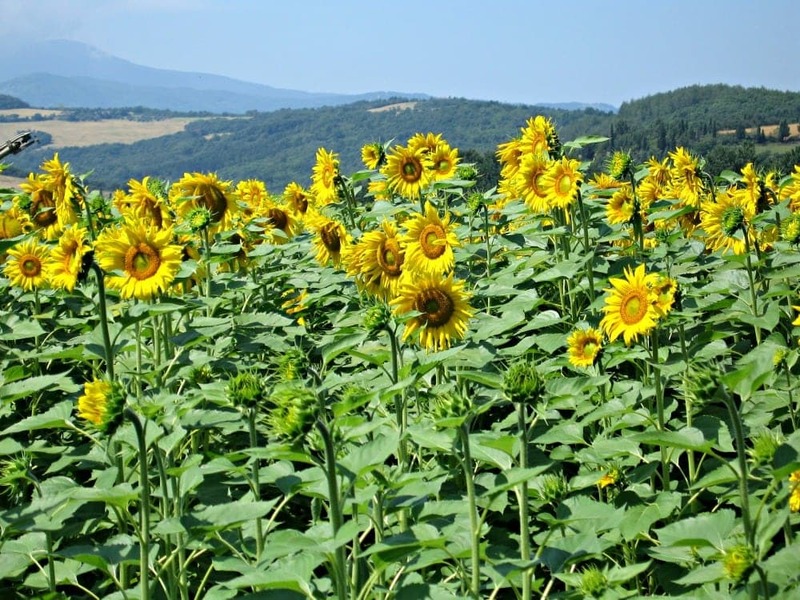 It’s about an hour away from home and offers a package of entertainment that’s full of value. 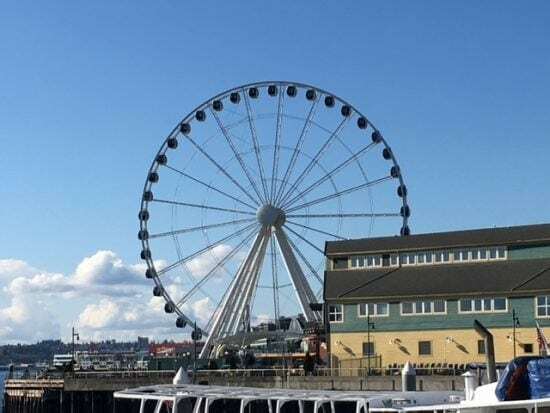 Finally, we spent some time exploring the Seattle waterfront, including a nostalgic dinner at Ivar’s Acres of Clam (read review here). I always recommend visitors to Seattle spend some time exploring the waterfront, but rarely get there myself. It was time to act like a tourist and wander a bit, and spending time in Ye Olde Curiosity Shop brought back lots of childhood memories. 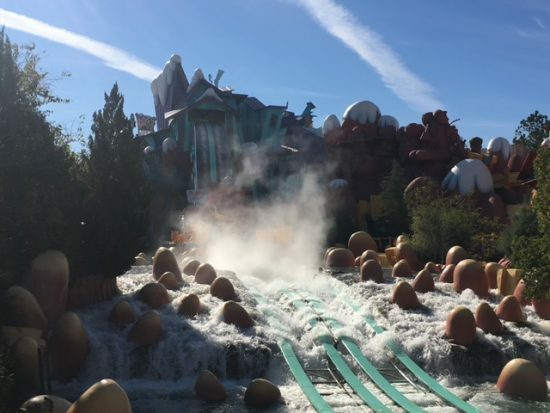 May was an exciting time at Universal Orlando Resort with the opening of a brand new water theme park – Volcano Bay. I can’t even imagine what goes into opening a new theme park from concept to implementation, but I know there are thousands (and thousands) of people involved and millions (and millions) of hours. The opening was not without some hiccups, to be expected, but the experience was one I’ll always remember. 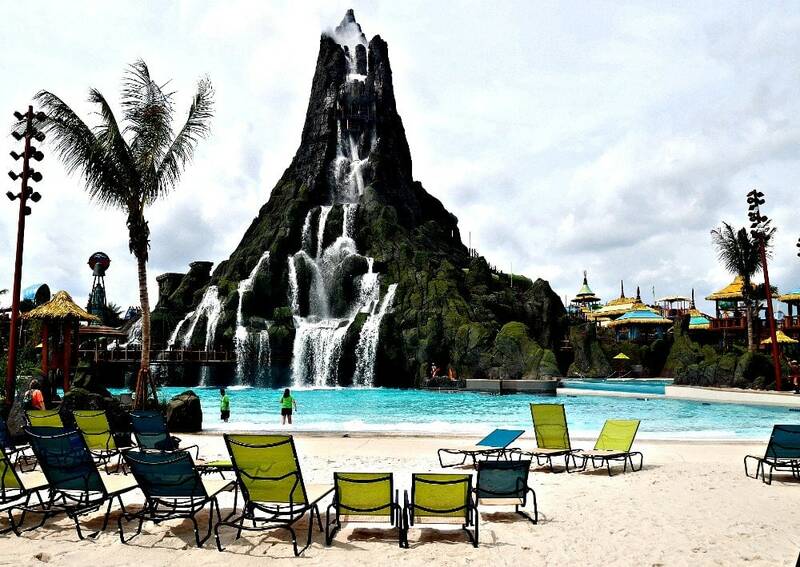 You can read my review of Volcano Bay here. This was also an opportunity to explore closer to home. 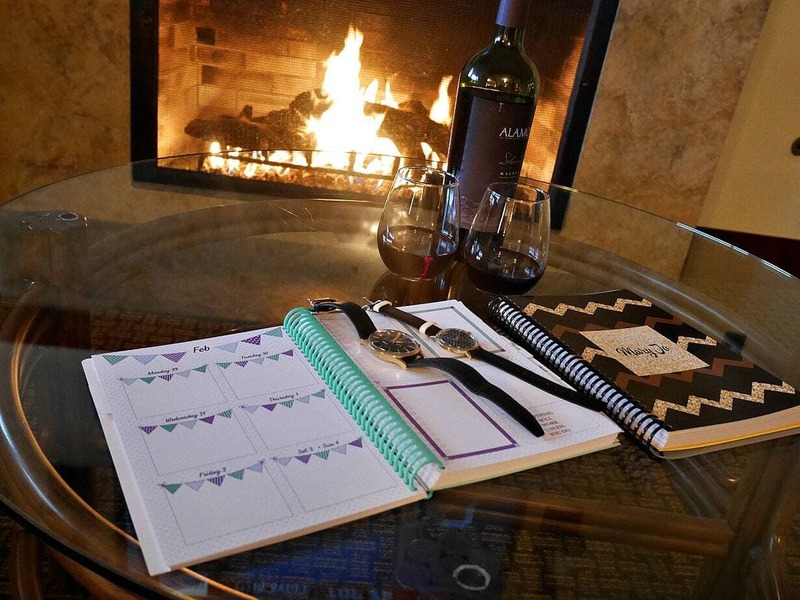 We stayed at the Willows Lodge (an amazing property, read my review here) and spent a long weekend tasting some of the wonderful wine produced in Woodinville Wine Country. 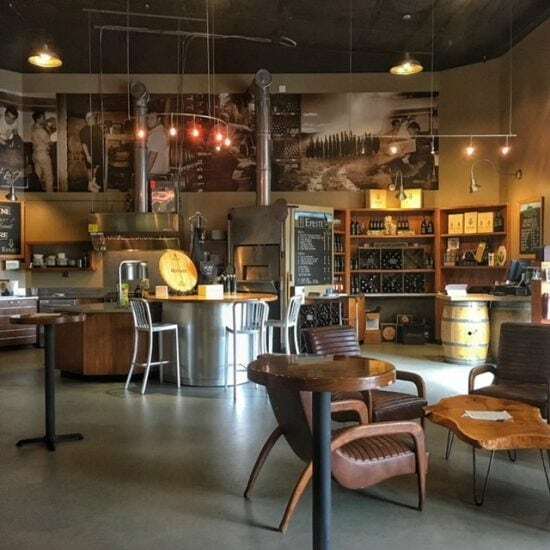 I grew up not too far from Woodinville, long before there was any wine production going on there, and couldn’t believe how many wineries are there. The number comes in somewhere around 120, ranging from large operations like Ste. Michelle Winery to small family boutique wineries. I don’t have near enough information to put together a comprehensive guide to the area, so am planning a return “research” trip. 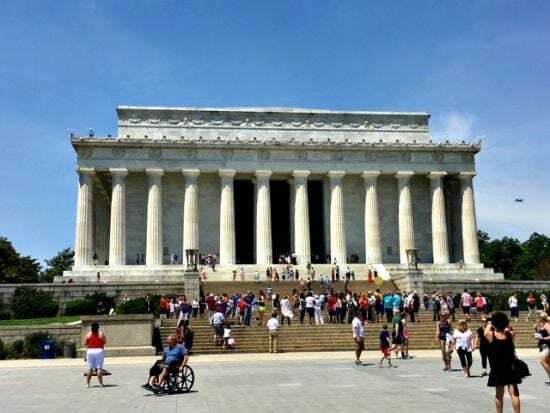 Back to a city (Washington D.C.) and an event (IPW) that I had missed for a couple of years, travel this month was a good reminder of the importance of travel and tourism in our nation’s economy. This trillion dollar business has an impact on every one of us. I was awestruck and humbled while visiting the National Museum of African American History and was in tears by the time I left. I urge everyone to visit and recommit to creating a society that moves us forward with civil liberties rather than backward. If you have any doubt of how little progress we’ve made, this museum will point it out to you. This trip was also a chance to catch up with fellow Torgilers (those of us who went on a Viking River Cruise on the Torgil) Howard, Jenn, Johnny, and Natalie. 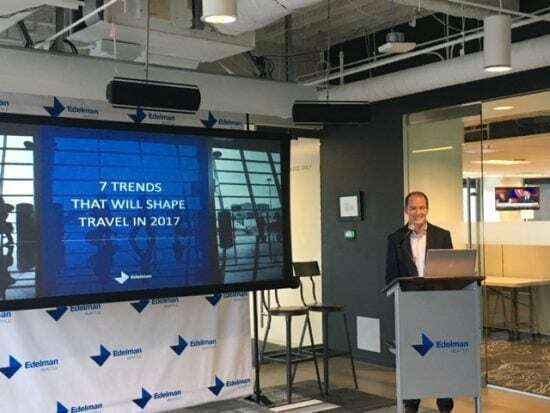 This event provides a great opportunity to meet with both writer and travel industry friends while getting a lot of work done – I’m looking forward to the 2018 event in Denver. Summer meant it was a great time to return to Universal Orlando, this time a personal trip with no mandated ambassador responsibilities. 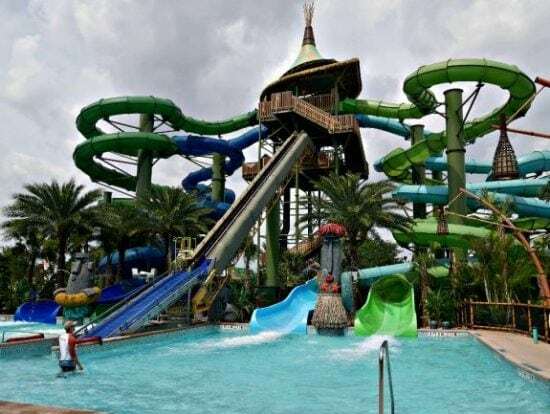 We enjoyed a day at Volcano Bay where we found many of the initial hiccups had been worked out, and then two days at the other parks. It was a chance to enjoy some of my favorite rides, including Escape From Gringotts and the previously mentioned water rides and enjoy some unstructured time at the parks. As many times as I visit UOR, I continue to discover something new to experience. It was a total eclipse of the sun, and I spent it in an airplane en route to Charleston. It was an eerie feeling watching the plane go from bright to dark during prime daylight hours. 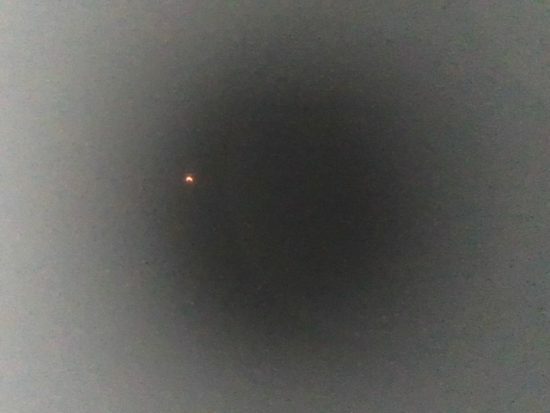 My photo out the window isn’t very impressive, but the experience was. 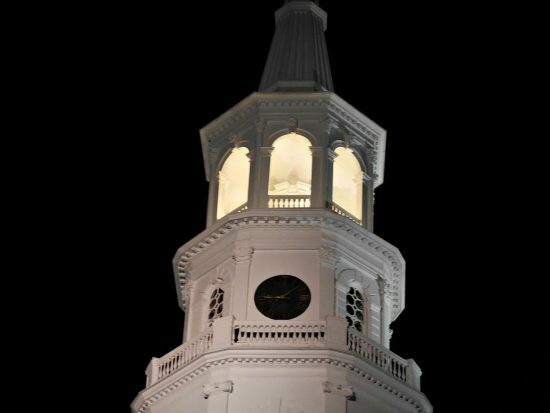 While in Charleston, I went on a ghost tour. I have an odd fascination with these kinds of things and the Ghosts of Liberty Tour was a great way to spend a hot and humid southern night. I liked that the tour wasn’t just some hokey paranormal tour. Instead, it was history focused, combining the city’s historical position during the birth of our nation with interesting legends and ghost stories that evolved from that time period. It was a fun walk through the city, learning a little history as we went, and both adults and kids on the tour seemed to enjoy it. For our anniversary, our 40th, we headed to Panama. We spent a couple days in Panama City, mostly spent exploring the historic old town part of the city. 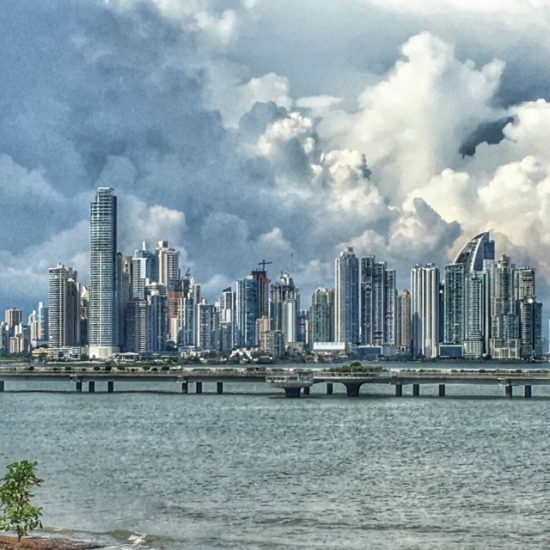 I had forgotten that Panama City is a major financial capital, so was surprised at all the skyscrapers, banks, and financial institutions located there. We enjoyed exploring the old town, checking out some museums and galleries, and got ready to leave on our UnCruise Adventures. Uncruise Adventures is a Seattle-based cruise company (I love to do business locally), and we were finally able to get a cruise with them scheduled. 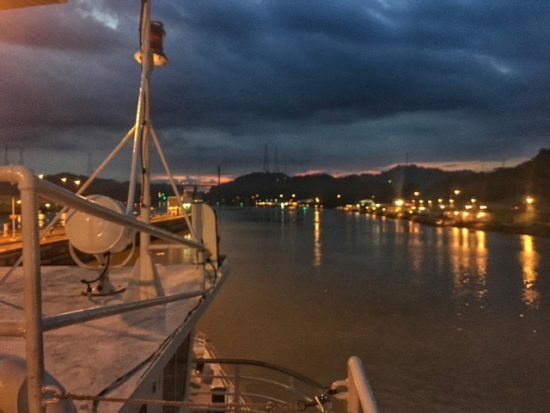 We did the Pure Panama itinerary, which included a canal transit as well as adventure and cultural opportunities in some of the smaller and less visited islands of Panama. We weren’t entirely sure what to expect on this small expedition type of cruise and were pleased with the high level of personalized service. Since I know many readers will be booking there 2018 plans after the first of the year, look for a review of both the ship and the itinerary then. If you’re interested in this area of the world, you’ll want to put this on your bucket list. Toward the end of the month, we explored another area close to home, Bellevue. Located on the “eastside” – meaning the east side of Lake Washington – Bellevue is the third largest city in the Seattle metropolitan area. To be honest, I often overlook it, largely because of stereotypes from my teen years. 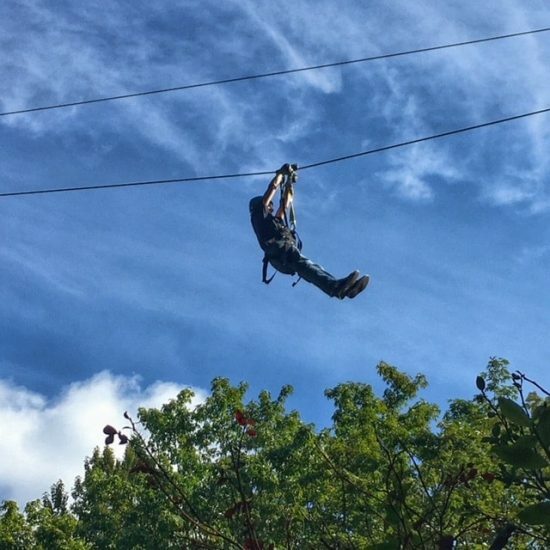 We spent a weekend there (read my review of Hotel 116 here) and had a great time exploring, discovering new things (like zip lining), and eating. We ate at a great ramen shop, one of my top favorites outside of Tokyo (review here). I’m working on a getaway guide, but have lots more research to do, so look for my recommendations next year. San Francisco was one of the first cities that we visited as a couple and we always like going back there. This was a little pleasure mixed with business. I have some editorial features launching in 2018, and the visit was timed to research and collect information in preparation for those. And, the scheduling was originally set to coincide with Tony’s retirement date making it the first post-retirement travel. The retirement date was pushed into November, so while it wasn’t the celebratory “first” that we thought it would be, we had a great time researching (which is such a nice way to phrase exploring, eating, and drinking). We’ve kept mum on most of this content, but you’ll see us talking plenty about it next year with the launch of a couple of special projects. 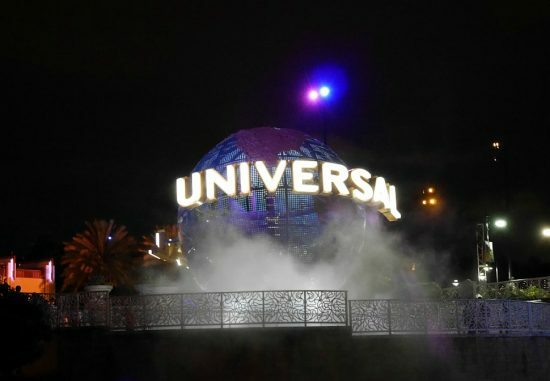 With the holiday season in full swing, I headed back to Orlando to experience holiday magic, Universal-style. 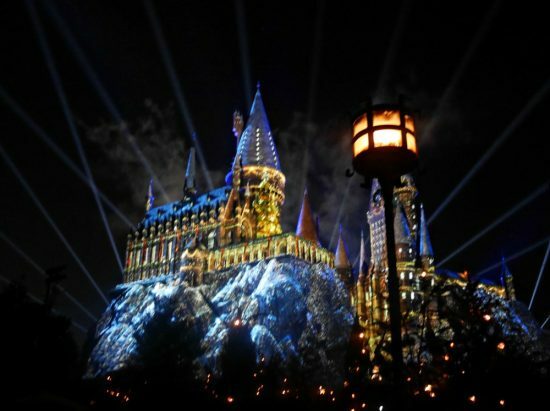 This was the first year that the holidays were celebrated by Harry Potter and friends, and Hogsmeade and Diagon Alley were aglow with lights and magic. Holiday decorations, music, entertainment and hot butterbeer? Yes, please! Read more about the holidays at Universal Orlando resort here. 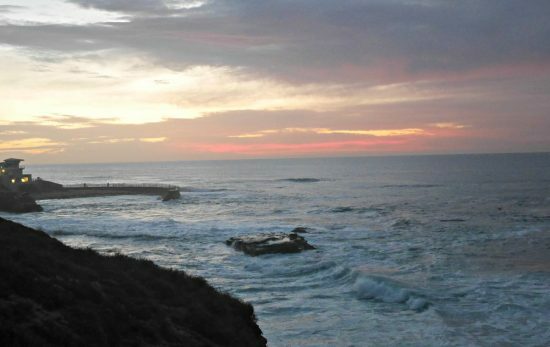 After Thanksgiving, we headed to La Jolla for a stay at the Pantai Inn (read my review here). This was the first trip that Tony joined me for as part of my business and he’s learning how to combine business with pleasure. He was a huge help with photography and catching things that I missed, along with providing the male perspective on our experiences. Look for more about our experiences at Pantai Inn next month – we didn’t want to leave! While Tony headed from San Diego to San Jose for the Pac 12 Championship game between U.S.C. 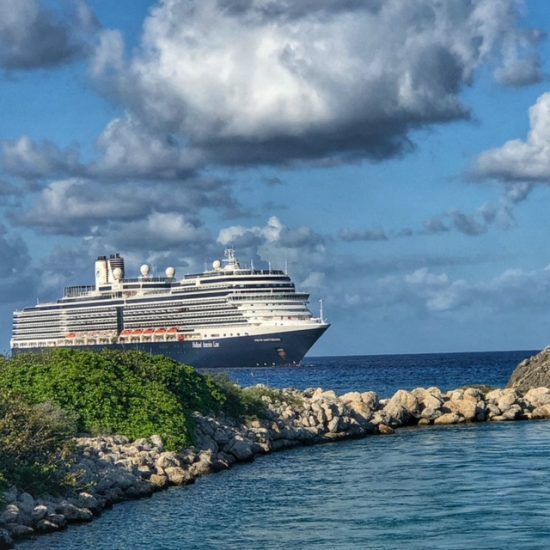 and Stanford, I headed east to Fort Lauderdale and a cruise aboard Holland America’s Nieuw Amsterdam with SATW (Society of American Travel Writers). It was my first time sailing with HAL and I was favorably impressed. I’ll have a review of the ship and itinerary coming up after the first of the year, in plenty of time for your consideration for your 2018 cruise planning. And finally, I’m back home in Seattle. The holidays are next week and I’m happy to be home enjoying this wonderful time of the year. This will be my last post for 2017 – I’m going to be taking some family time over the next week or so, getting ready to launch some new projects (look for one announcement on January 1, 2018), and hunkering down to do some writing. I am thankful for my year of travel and more importantly, I am thankful for your readership and support. May your holiday season be full of love and happiness – see you in the New Year!